Have you ever wondered what the Disk Cache is in After Effects? You may or may not have heard of the disk cache in After Effects, but as you’ll come to find out the disk cache is a huge deal in After Effects. In fact it's not just a huge deal, it's a massive deal, and a crucial piece of your workflow. Whether you've know it or not, you’ve been using disk cache for as long as you've been using After Effects. The Disk Cache is such an essential part of the Motion Design process that we thought it'd be helpful to talk about what disk cache is and how it can help you in After Effects. A somewhat on the fence thumbs up. So, what exactly is disk cache? Technically a Disk Cache isn’t just an After Effects thing, it's far more reaching than that, because most software utilizes some type of disk caching. Essentially what disk cache means is that the software holds data that has recently been read and stores it in a cache, so that way when it needs to read it again it can do so more quickly. How does this all work in After Effects? When you put together a comp, After Effects stores rendered frames and images using the RAM preview, this is so adjusting and editing of your comp goes more smoothly. AE won't cache frames that can easily be rendered, such as solid colors or text, just frames where composites have taken place and preview rendering is necessary. Now there are two ways that AE is pre-rendering and caching your comp. Let’s take a look at both. Disk cache just as we mentioned above, where data from the preview render is stored in a cache directory. This allows After Effects to read the data quicker, thus giving you a faster preview. 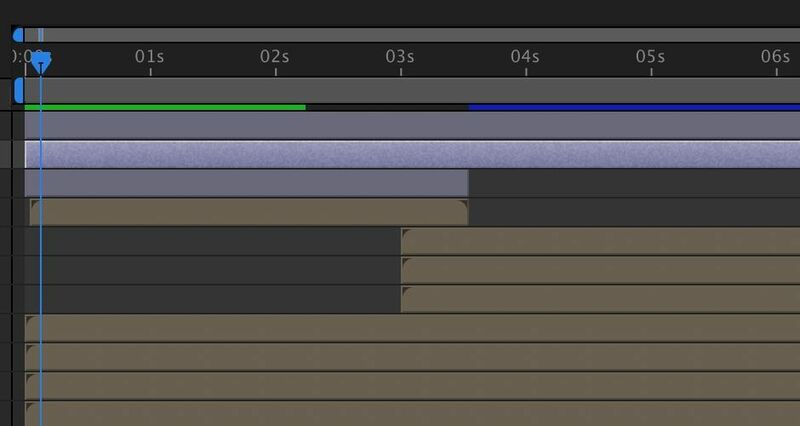 You can see that your comp has been cached to the disk by seeing a blue bar in the time ruler of the Timeline. The blue bar indicates frames saved in disk cache. After Effects will cache RAM Preview frames within its RAM Cache in the same way that it caches data to the disk. This again is all a way for After Effects to increase its productivity for the user by not having to re-render a comp every single time you hit the spacebar. 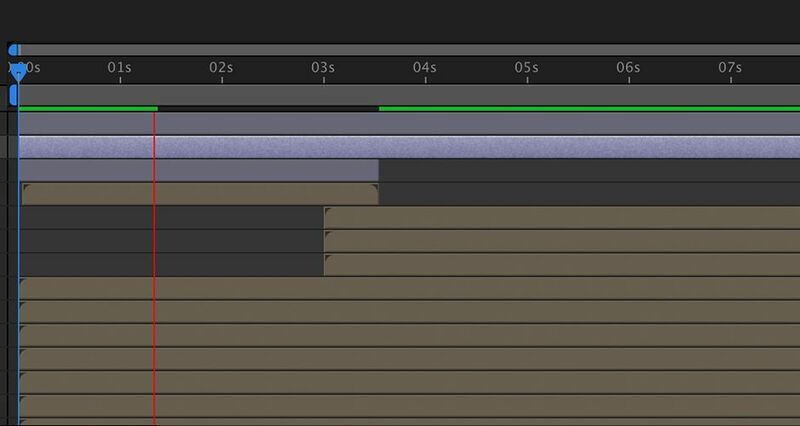 You can see RAM Cache working by finding a green bar in the time ruler of the Timeline. When you preview your timeline After Effects will move any necessary footage from the disk cache into your RAM Cache for playback. The green bar indicates RAM Cache. Is Disk Cache and RAM Cache using Hard Drive space? Kinda, both will utilize storage space on your computer. However, RAM preview will store to RAM and be erased when After Effects is closed. Disk Cache will store on your hard drive and will not be deleted when you close the software. You should also note that over time your cache can get quite large and take up a lot of space on your Hard Drive. However, don’t worry you can clean things up and purge your system of that used disk space. To see just how much space your disk cache is taking up, navigate to After Effects > Preferences > Media & Disk Cache. In the menu you can change the potential size of your disk cache. If you use After Effects a lot you can crank that number up to as much as you want. After Effects recommends that you use an SSD on a separate hard drive from your footage. Empty disk cache through Purge or through Preferences. If you need to purge your RAM Cache before you quit After Effects then head up to Edit > Purge > All Memory. This will take care of the RAM Cache, just be aware that you’ll lose your preview progress and you’ll need to run RAM Preview again. Purge RAM Cache via the purge option in the Edit menu. So... Is this info really going to help me out? A big part of becoming a great motion designer is to work efficiently and quickly. One of the ways you can focus on creating stuff instead of waiting on your computer to render is by utilizing Disk Cache and RAM Preview to your advantage. A thankful nod for learning something new.